Do you leave the gruesome task of killing, pulverising and maiming to robots? The US Defence Department gave a portion of its report Unmanned Systems Safety Guide for DOD Acquisition (2007) to the possibility of designing functional unmanned weapons systems. Other defence departments, including the UK Ministry of Defence, also see the removal of the human element in the drone killing mechanism as a distinct possibility. It is these points troubling those at the International Joint Conference on Artificial Intelligence in Melbourne, which opened with a letter authored and signed by 116 figures known for their prowess in the field of robotic and artificial intelligence. Among the penning luminaries were Elon Musk, taking time out from some of his more boyish endeavours to get serious. Serious, that is, about humanity. For the artificial intelligence sage Toby Walsh, a salient figure behind the note and the 2015 open letter which first urged the need to stop “killer robots”, such weapons were as revolutionary as any since the advent of nuclear weaponry. Be aware of “stupid technologies” or, as he puts it, the stupid variant of artificial intelligence. A central point to bringing robots into the old fray of battle is the notion that machines will be used to target other machines. It is the view of John Canning of the Naval Surface Warfare Center Dahlgren Division. 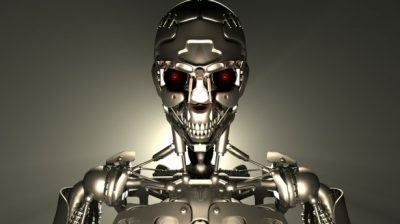 The people, in other words, are sparred the misfortune of death – except the clever ones who wish to continue targeting each other – while “dumb” robots are themselves neutralised or destroyed by other, similarly disposed weapon systems. Both Arkin and Canning are merely fumbling over notions already hit upon by Isaac Asimov in 1942. Robots, he outlined in a series of robot laws in the short story “Runaround” would not injure human beings, had to obey orders given by humans, except when in conflict with the first law, and had to protect their own existence, as long as neither conflicted with the first two laws. Giddy stuff indeed. These are not points being cheered on by Musk and Co. At the beginning of an automated robotic creature is a potential human operator; and at its end, another human, with a moral and ethical dimension of such dire consequence that prohibition is the only safe choice. The obvious point, seemingly missed by these figures, is that the nature of automated killing, the technological distance between the trigger puller and the destroyed target, is an inexorable process that continues the alienation of humans from the technology they use. “We do not have long to act,” comes the cry. “Once this Pandora’s Box is opened, it will be hard to close.” But this box was prized open with each technological mastery, with each effort to design a more fiendishly murderous weapon. The only limit arguably in place with each discovery (chemical and bacteriological weapons; carpet bombing; nuclear weapons) was the not-so-reliable human agent ultimately behind using such weapons. The elimination of pathos, the flesh and blood link between noble combatants, was already underway in the last days of George Armstrong Custer and the Battle of the Little Bighorn. To win the battle, the machine imperative became irresistible. It was only a matter of time before the machine absorbed the human imperative, becoming its near sci-fi substitute. Ultimately, it still takes human agency to create the lethal machinery, to imbue the industrial killing complex with its brutish character. For that very reason, there will be those who think that it is about time machines are given their go. Let the robots, in short, sort out the mess made by human agents. But taking humans out of the business of killing would be a form of self-inflicted neutering. Killing, for all its critics, remains a true human pursuit, the sort of fun some will resent surrendering to the machine. Featured image is from Afflictor.com.